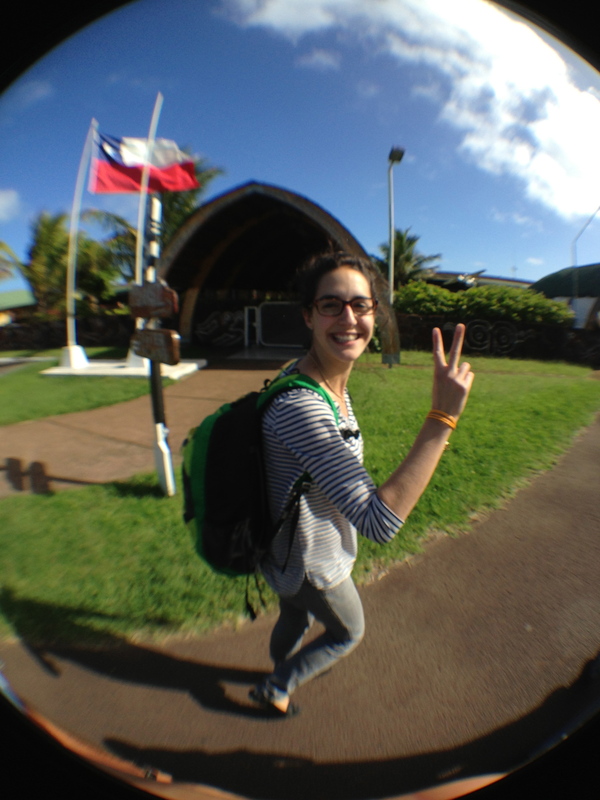 On Saturday afternoon, after travelling overnight, and after a 5 hour flight from Santiago de Chile, we finally arrive to Rapa Nui. The little Polynesian island, commonly known as Easter Island, forms the southeastern point of the Polynesian Triangle (with Hawaii and Tahiti). The closest piece of land is Tahiti, at some 2000km, and the Chilean cost is at 3500km away. We were greeted at the airport with flower necklaces and taken to the little bungalows we had rented for the next few days. The island has approximately 5000 people living on it. The natives are called Rapa Nui and there are about 50% of them on the island, the other 50% are mainly Chileans or other nationalities that have moved there. 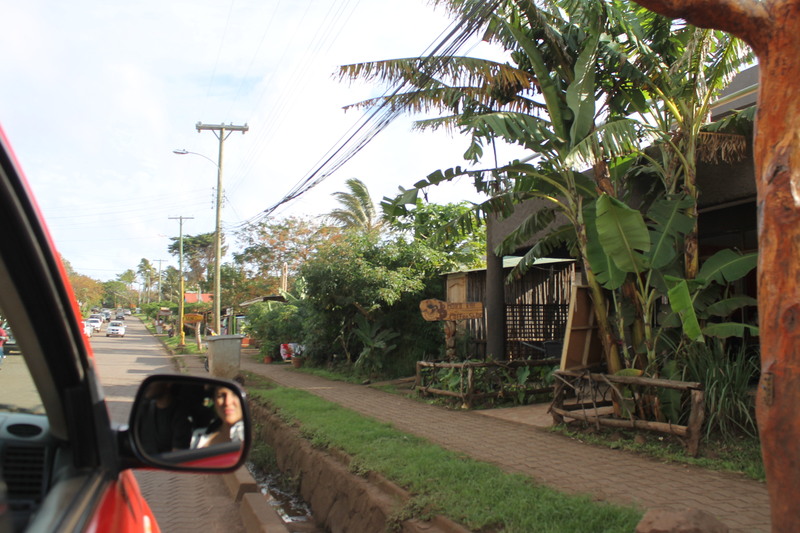 Speaking with both natives and Chileans, one soon comes to realize that there are tensions between locals and newcomers to the island, and the Rapa Nui people identify themselves first as Rapa Nui, and the Chilean identity is purely on their documents. The people from Rapa Nui have suffered many famines, epidemics, civil wars slave raids and this has cause its population to decline more than once over time. The main language on the island is Spanish. The Rapanui language has been disappearing. A Rapa Nui explained to us that he never really learnt the language, because his grandfather had gotten picked on when he was young and so he refused to teach the language to his children and grandchildren, in order to avoid the same happening to his loved ones. There are no resorts, no tall buildings. Actually, the highest buildings are some of peoples houses, having two floors! This gave a nice vibe to the island, keeping it simple and warm. Although May is rainy season, we were lucky and it only rained on our last day there. This time of the year is not too warm, making excursions fun. Also, there are not many tourists, and so there are no lineups, and the island is much quieter. Prices for hotels, food and activities are also much lower during this time of the year. The island is quite expensive, as most foods and necessities arrive by boat or plane. The only local products are tuna, fish, pineapple, mango and some avocado and potatoes. Everything else, including seafood, lettuce or even beer is imported. We had brought several basics in order to cook for ourselves once in a while: cans of tuna, pasta, sauce, mayonnaise etc. The tuna is very good, and they also make a tuna ceviche, that is delicious; some Peruvians would say the best, other than their own (ahaha). Wow. That is so amazing.